FALLS CHURCH, Va. – Feb. 3, 2015 – Northrop Grumman Corporation (NYSE:NOC) announced today that it has priced a $600 million underwritten public offering of 3.85% senior unsecured notes due April 15, 2045. 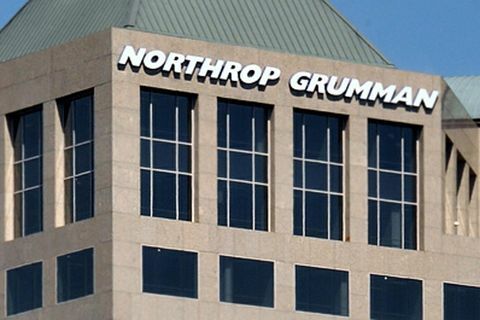 Northrop Grumman expects to use the net proceeds from the offering for general corporate purposes, including funding a $500 million voluntary contribution to its pension plans and debt repayment. The offering is expected to close on Feb. 6, 2015, subject to customary closing conditions. When available, copies of the prospectus supplement and the accompanying base prospectus related to the offering may be obtained by calling Deutsche Bank Securities Inc. toll free at (800) 503-4611 and J.P. Morgan Securities LLC collect at (212) 834-4533. A copy of these documents may also be obtained by visiting EDGAR on the Securities and Exchange Commission website at www.sec.gov . Note: Statements in this press release, other than statements of historical fact, constitute "forward-looking" information within the meaning of the Private Securities Litigation Reform Act of 1995. Words such as "anticipate," "expect," "intend," "plan," "believe," "estimate," "guidance," "goal" and similar expressions generally identify these forward-looking statements. These forward-looking statements speak only as of the date when made, and the Company undertakes no obligation to update or revise any forward-looking statements after the date of this press release. Forward-looking statements are not guarantees of future performance and inherently involve a wide range of risks and uncertainties that are difficult to predict. Actual results may differ materially from those described or implied in these statements based on a number of factors, including global economic conditions, economic conditions in our industry, government fiscal and budget policies, changes in interest rates and other market conditions. A discussion of these risks and uncertainties is contained in the Company's 2014 Annual Report on Form 10-K and the company's other filings with the Securities and Exchange Commission.